The crew removes PCG-9 sample bags containing copper sulfate from the Minus Eighty Degree Celsius Laboratory Freezer for ISS (MELFI) and checks them for crystal growth. 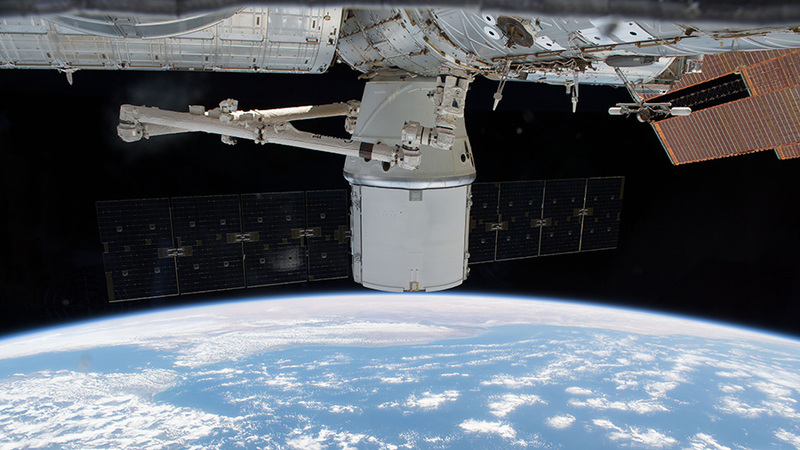 Samples from the investigation by the winning students of the 2017 Wisconsin Crystal Growing Competition returned to Earth on Saturday when the SpaceX Dragon capsule splashed down in the Pacific Ocean. Before loading the sample bags into Dragon last week, International Space Station crew members checked the bags for crystal growth. The student investigators were excited to learn that there were crystals in every sample bag! 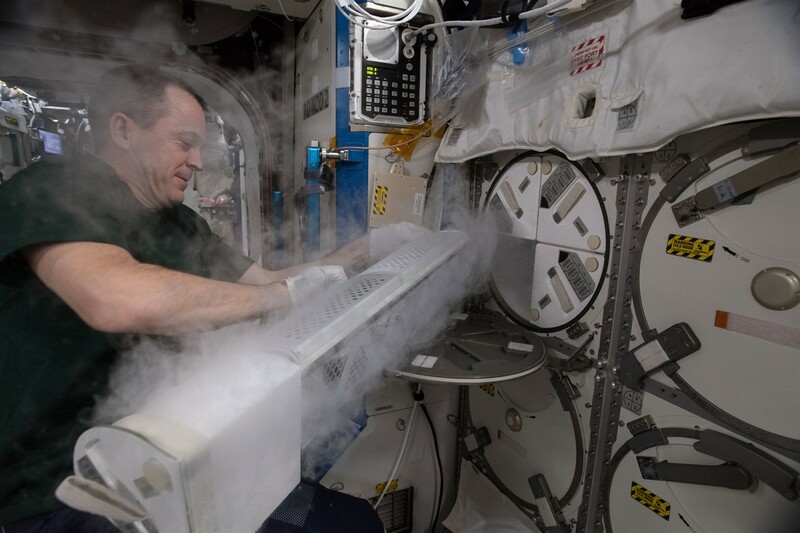 The investigation, which launched to the space station on SpaceX CRS-14 last month, allowed the students to grow crystals on the ISS National Lab to test their optimized conditions for Earth-based crystallization against microgravity-based crystallization. The students had adapted their Earth-based crystallization methods for the flight project. In preparation for the return of the samples, crew members took the sample bags out of the Minus Eighty Degree Celsius Laboratory Freezer for ISS (MELFI) last week and used a syringe to remove the precipitant solution from each bag. This was done to prevent further crystal growth and to keep the crystals from dissolving back into the solution during their return to Earth. The students will be able to compare the crystals grown in microgravity with crystals grown on the ground. Microgravity-grown crystals are often larger and more well-ordered than Earth-grown crystals. 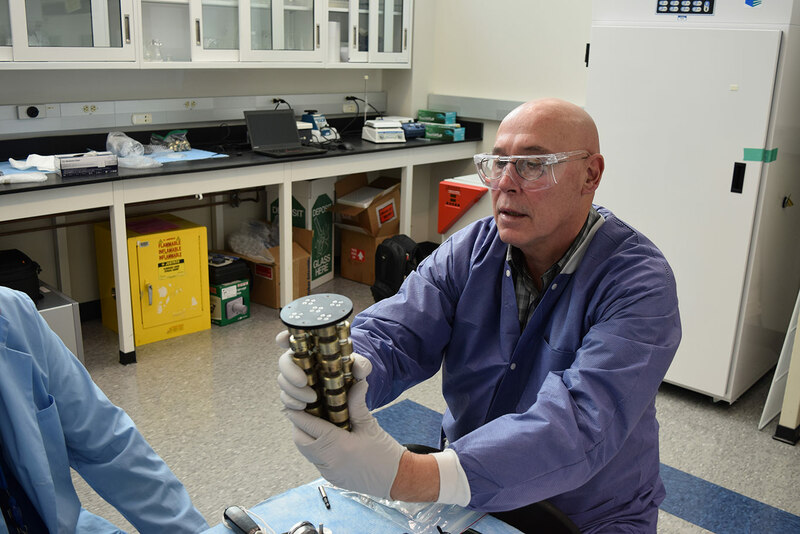 Check out some of the ways investigators are using the unique microgravity environment of the ISS National Lab to advance their crystallization research and development. Merck & Co. conducted an investigation on the ISS National Lab aimed at growing a crystalline suspension of millions of tiny uniform crystals, toward improving the formulation of the company’s cancer immunotherapy drug, Keytruda®. Pharmaceutical company Eli Lilly & Co. is utilizing the ISS National Lab to conduct protein crystallization studies for structure-based drug design. Researchers from Oak Ridge National Laboratory used the microgravity environment on the ISS to crystallize the AChE enzyme, toward developing an improved antidote for nerve gas and pesticide poisoning. The Michael J. 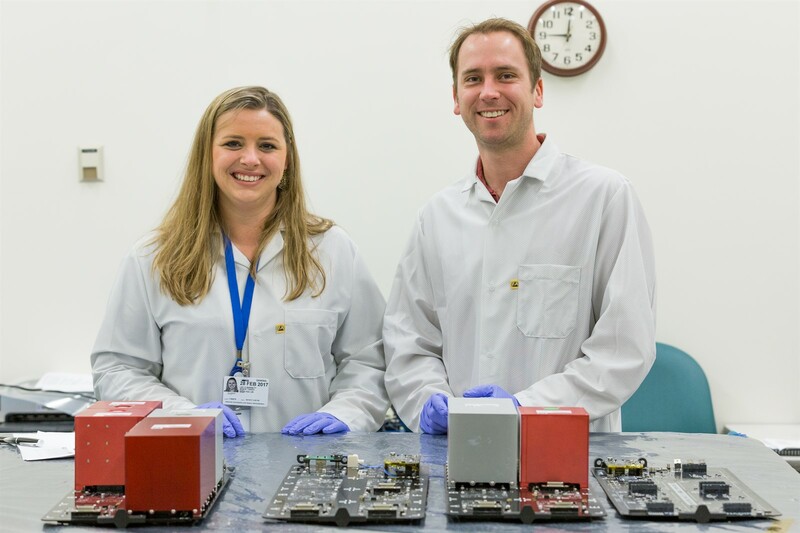 Fox Foundation conducted an investigation on the ISS National Lab to grow crystals of the LRRK2 protein, a key target in identifying the makeup of Parkinson’s disease.